Cari Ray & The Shaky Legs bring their unique blend of country blues to The Hideaway. Sharing the stage will be the incomparable king of circus swing, Dean Johanesen! Cari Ray is an award-winning songwriter and storyteller whose songs manifest in a way that can transport you a back alley juke joint around the early part of the last century. 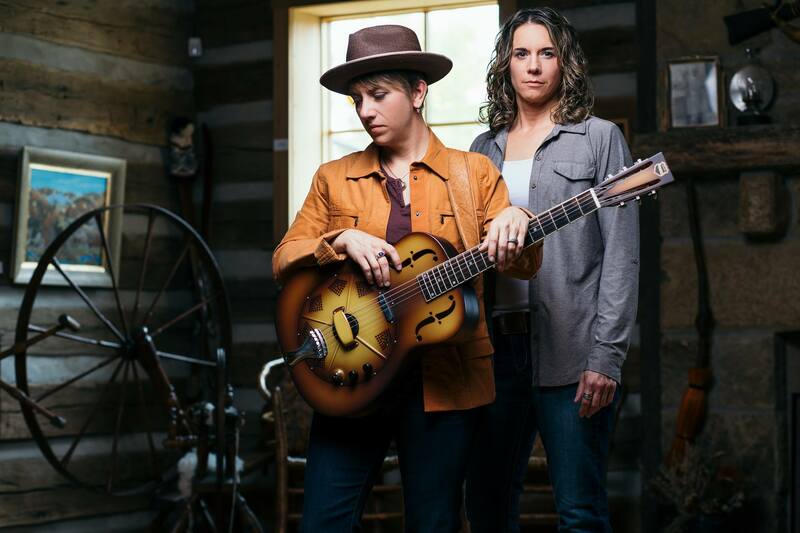 Cari’s influences as a writer and performer are clear and present in her original material, spanning a wide range of early American music… a helping of acoustic blues, a little folk, a rasher of ragtime, and a slight flavor of old-time country.. Her live show serves it up handily with quick wit, tasty fingerstyle guitar, and a huge voice. Add the powerful harmony vocals of percussionist and long-time collaborator, Dionne Ward, and you have Cari Ray & The Shaky Legs. With a unique blend of heart and grit, this power duo will have your heart breaking one minute and your hips shaking the next…all while wondering where they’re hiding the rest of band.